Caley Thistle are set to be boosted by the return of midfielder Liam Polworth from an ankle injury within the next 10 days. Ross County manager Jim McIntyre believes his players must rediscover a ruthless streak in front of goal to get the points their recent play has deserved. This is the heartwarming moment a young Aghan boy who charmed the world by fashioning a carrier bag into a Lionel Messi football top finally met his idol. Aberdeen defender Andy Considine believes the Reds are better than Rangers and will prove it by securing second place in the Premiership this season. Ross County manager Jim McIntyre is not planning drastic changes to his squad in next month's transfer window. England and Wasps star James Haskell has been forced to issue a video message to fans after rumours surfaced online that he had died. Caley Thistle loan midfielder Larnell Cole is still inspired by the words and influence of Sir Alex Ferguson as he tries to revive his post-Manchester United career in Inverness. Contracts of ten Dons players to end in summer: Who could stay and who could go? There are no less than ten Dons players reaching the end of their contract this summer - but which ones will sign on the dotted line? And who will go? Aberdeen manager Derek McInnes is ready to risk losing some of his key players for nothing as talks continue on securing key members of the squad. There’s nothing quite like a good transfer story to get the anticipation going – and thankfully, we have a lots of those today. Aberdeenshire head coach Alex Duncan hopes the return of key personnel can help the club move into promotion contention in the next two games. Aberdeen Grammar have suffered a huge blow on the eve of one of their biggest games of the season after captain Calum Champion was ruled out for the rest of the season with a broken kneecap. Aberdeen manager Derek McInnes insists there is no panic at Pittodrie following back-to-back defeats in Glasgow. Scotland fans have been warned to ignore an email scam sent from the Supporters Club official account. 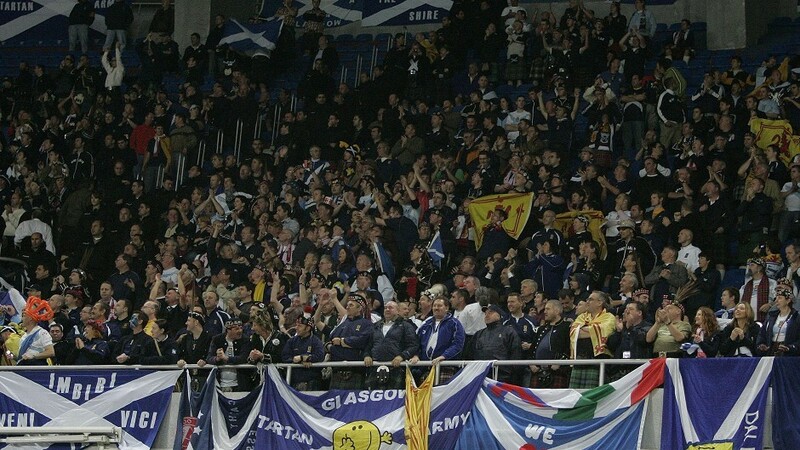 More than a third of footballers surveyed in Scotland say they have received threats from fans on match day. Aberdeen manager Derek McInnes hopes he can lift the gloom after the League Cup final loss by extending James Maddison's stay at Pittodrie into the second half of the season. Captain Gary Warren insists Caley Thistle must do better defensively after the Highlanders suffered their third straight loss of the season at Dundee on Saturday. The controversial sending-off of Inverurie Locos centre half Ryan Broadhurst midway through the first half changed the game in Cove Rangers' favour as they made full use of their numerical advantage to claim the Highland League points with ease at Spain Park on Saturday. Thousands of Dons fans arrived in Glasgow today to watch Derek McInnes’ men battle Celtic in the League Cup final. The P&J’s photographer Kenny Elrick went out to meet them before they went into the ground for the big match. A pulsating eight-goal thriller of a William Hill Scottish Cup tie at Victoria Park ended with Dunfermline taking their place in the fourth round but it was Highland League Buckie Thistle who took all the plaudits for their heroic display. Jim Weir described four-goal Shane Sutherland as "unplayable" in Elgin City's eight-goal romp past poor Hawick Royal Albert. Caley Thistle manager Richie Foran has demanded his players prove their top-six credentials by beating Dundee at Dens Park today. Aberdeen manager Derek McInnes believes beating Celtic at Hampden tomorrow will do more than bring the Betfred Cup back to Aberdeen - it will also highlight the first chink in the armour of Celtic. Aberdeen manager Derek McInnes insists James Maddison can be the club's hero and help bring the League Cup back to the Granite City tomorrow. The Scottish Football Association (SFA) has launched a telephone hotline to support players who may have suffered abuse by coaches to come forward. Ambitious plans for the new Aberdeen Football Club stadium were unveiled yesterday at a public exhibition at Pittodrie. Two young boys were over the moon after coming face to face with their football hero Lionel Messi.